Hannah's Landscaping » Our Black Friday Sale Means Serious Green For You! Our Black Friday Sale Means Serious Green For You! Our Black Friday Sale will leave some serious green in your pocket. This Friday and Saturday (11/24 and 11/25/17 ONLY) You can enjoy up to 25% OFF all Christmas decorations! Partial to Frazier Fir trees? We have them! Want fresh Fazier Fir wreaths for your doors? They’re here! Love the smell of White Pine garland? We do, too, and there’s plenty for you to bring that scent of Christmas home for yourself because we have exactly what you’re looking for in stock. 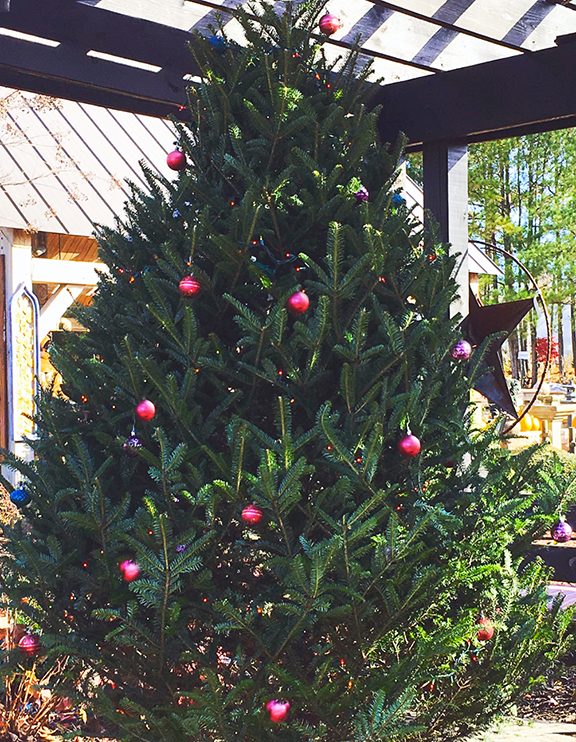 Let Ms. Evelyn at our Hannah’s Garden Center and her crew of green shirt elves help you pick the perfect decorations for your home this season. We’ll even load everything in your sleigh. Outdoor Center operating hours: Friday and Saturday from 10 am to 8 pm. For more information call our Garden Center on their Direct Line at: (256) 502-9989.